With April showers on the horizon, customers might show up with their arms full. Give them a place to put their coat, umbrella, and keys, greeting them with user-friendly decor from the minute they walk through the door. These products make great retail items too. Le Maison Belle’s welcome signs are hand-painted then distressed and suspended from a grapevine wire for a chic rustic look. The cheery addition to your entryway can be custom colored. 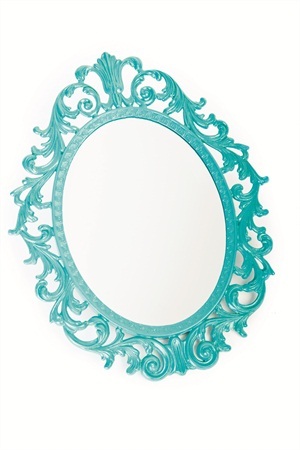 Open up any hallway with Secret Window Mirrors’ Fairy Princess Mirror. Framed in a vintage Italian brass filigree frame, it’s available in many colors. 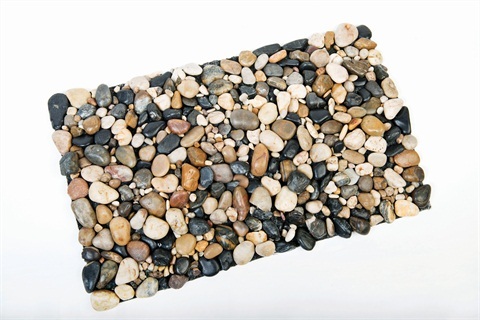 As its name promises, Home By Hand Chic offers an array of handmade home decor pieces like this Natural Stone Floor Mat designed with river rock. Custom designs are available. The Shabby Shak carries an array of home decor from shabby to funky. 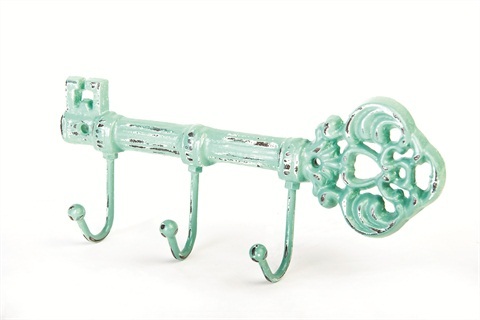 Get literal with this cast-iron vintage-inspired skeleton key holder. 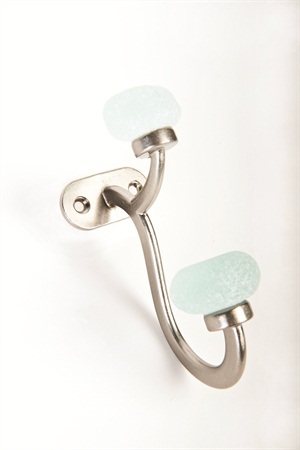 Each Double Wall Hook by Beachy Rustica is one-of-a-kind — made from recycled sea glass — and perfect for hanging coats or umbrellas. Matching sea glass pieces are available online.